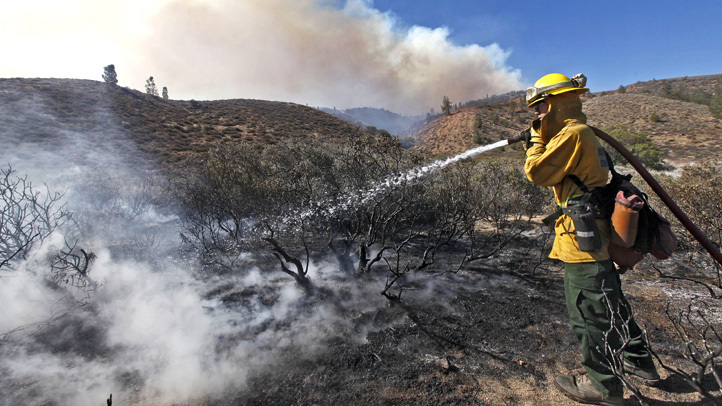 A Monterey County wildfire has burned more than 10,000 acres. Six homes and two sheds have been destroyed by a challenging wildfire in Monterey County that started Friday and has consumed 11,000 acres, Cal Fire officials said. The Soberanes Fire started around 8:50 a.m. near Garrapata State Park and has grown quickly in size. By Saturday evening, the fire was reported to have burned 6,500 acres and by Sunday evening had doubled in acreage. 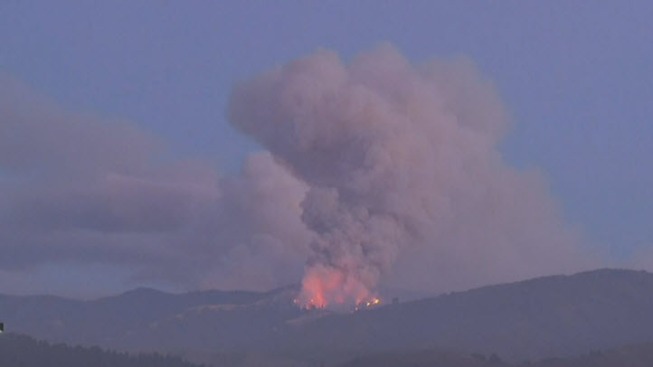 The fire is currently threatening about 1,650 structures, Cal Fire officials said. Containment for the fire, which is burning an area south of Carmel-By-the-Sea and north of Big Sur, remains at 5 percent. Cal Fire officials initially reported one injury, but they have retracted that. Mandatory evacuations began Friday for residents in the community of Palo Colorado and remain in effect. Mandatory evacuation orders are also in place for Old Coast Road and Bixby Creek Road from Highway 1 to Middle Road and the Rocky Creek area, Monterey County sheriff's officials said. Evacuations are advised for residents in the communities of Carmel Highlands and San Rancho Clemente, but are not mandatory. The advisory is also in effect for Rancho San Carlos Road and White Rock. An evacuation center has been opened at Carmel Middle School at 4380 Carmel Valley Road in Carmel-By-The-Sea for residents affected by the fire. Firefighters with Cal Fire and various other fire departments throughout the area are attempting to extinguish the fire from both the air and on the ground. Because the fire is located in a remote area, access is challenging, according to Cal Fire officials. Monterey County officials also announced that Toro Park will be closed starting Sunday because the park will be used by Cal Fire crew members as a base camp. The park will remain closed to the public until the firefighting efforts are complete, county officials said.